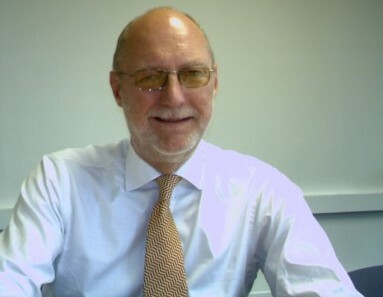 Having studied to become a Chartered Surveyor, working in property management and sales, Mr John Ellery joined the outdoor contractor London and Provincial in 1968 and trained in all aspects of the outdoor medium from billposting to backlight development. L+P was at the forefront of the outdoor advertising industry at that time and led many industry initiatives. Specifically Mr Ellery was involved in the birth of the street furniture medium, developing acceptable designs and working with local authorities to integrate outdoor within modern town centre developments, and the street scene. From there on it was an upward progression as Mr Ellery went on to become Marketing Director of Smiths and Masons, Board Director of L+P Group and Adshel, Managing Director, Dennis Sullivan at Portland, and formed the International Division of Poster Publicity. He opened their offices worldwide, providing a global network with 18 offices outside the UK, producing over half of the groups annual billings of US$400 million. PP opened their 19th office, in Sydney, early in 2005. PP and WPP formed a joint company, with Portland, called Kinetic Worldwide, to continue to develop the outdoor specialist function globally. Since 2006 Mr Ellery ceased his connection with the company and is now an international OOH consultant. In an exclusive interview with Nibha, John Ellery shares his views on tackling the economic slowdown, global consolidation, work ethics, global OOH guidelines and much more. Q: Do you think that the current economic slowdown will give out-of-home advertising an edge over other media, across the globe? This will vary market by market. In the main I believe that OOH has many advantages over other media, but as several advertisers believe that OOH so often only accounts for a small percentage of total media spend, in difficult times, it is sometimes the first part of a media schedule to be cancelled. However with the right marketing and enthusiastic, well connected sales force, many outdoor owners can provide advertisers with some more reasonably priced advertising alternatives to their regular media choice. There is still an education job to be carried out on many advertisers. All sectors of media are suffering at this time, but from what I am seeing, a medium that can offer a specific and well targeted audience is enjoying a better sales ratio, than a medium that is broader in its audience appeal. Q: The current economic slowdown is affecting the OOH media ownersâ€™ businesses across the world; as a result a number of major advertisers are cutting back on their advertising spends. What according to you is the key to win back advertisers to the OOH arena? It must be a continuing effort to provide a well positioned OOH medium with top quality servicing and display performance. Of course this costs money, but we have such a public medium which is only as good as the last site that was seen. In the UK and US the number of outdoor sites displaying paper and glue displays is reducing quite dramatically. In the US it is proposed to have no further paper and glue sites by the end of this year. I know traditional panels in India are now almost all vinyl, but with â€œdry postingâ€ recyclable materials are being used. Good qualitative research is playing a growing role in outdoor, and is important to be able to demonstrate â€œeyes on resultsâ€â€™ rather than simple opportunities to see. Q: What advice would you give to the Indian Outdoor fraternity, both in terms of marketing and pricing of their mediaâ€™s so that they donâ€™t face the heat of the global economic slowdown? Be realistic about the economic climate. It will help if the OOH business was to work in concert as a proper industry. I know that it is easy to say, and it is a difficult dream to realise, but OOH is one of the more minor media choices, and we should work together to demonstrate its strengths and advantages. Each individual company will want to maximise its share of any budget. That often leads to reducing price. Of course an advertiser wants to achieve good value for money, but OOH must hold its head up! We cannot be turned off, or ignored like TV and press. Both TV and press have seen dramatic reductions in their advertising income over recent years, due to a reducing audience. The Outdoor audience is generally increasing, and that should carry an equivalent increase in value. The growth in the online sector is generally to the detriment of TV and press, not OOH. Q: Is the OOH industry doing enough to foster new formats and has the global consolidation of media owners helped this? There have been a number of new formats over the recent years, and OOH is all about the position of the site and audience. I have seen several new formats fail because they have not reached the awareness of the client. All very traditional and simple. But we are seeing successful new formats â€“ LED, plasma screens, mobile phones.Â The current financial conditions are not really supportive of these sorts of formats, but we need to encourage advertisers to really appreciate the positives that these new formats provide. Q: Out of Home is in the spotlight more than ever for its variety and breadth of offering. What new OOH media types have impressed you and why? LED enables so many clients to present their advertisement in the key locations where the opportunities exist. However, the success of LED is very dependent upon the programming and creative expertise utilized. Similarly, the same applies to plasma screens. The escalator plasma panels on the London Underground have been well used by several advertisers. The angle of the escalators provide a truly great creative programming opportunity, which a number of advertisers have taken full advantage of, to provide a very memorable advertising campaign.Â To see products jump from screen to screen in time with the movement of the escalator is very eye-catching and absorbing. Q: What role do you think innovation plays in OOH media? And in the recent past can you name any campaign which you could call really innovative? Innovation and OOH are synonymous, whether the innovation applies to the creativity of the artwork/programming, the location in relation to the audience, the timing of the event, or the combination of media used. However it must be said that many and indeed most OOH campaigns simply work because they advertise a product or brand in a simple and clear way on a campaign of well placed outdoor sites. It would be inappropriate, I think, to name one or two â€œreally innovativeâ€ campaigns as there are, and have been, so many. Q: How does one justify the cost of innovations in terms of both the recall value and the rise in the market share especially when we in India, donâ€™t have any posting technology at place, wherein one can justify the effectiveness of the OOH campaign? This is a difficult question to answer. The simple answer is that since its origins, many hundreds of years ago, OOH has been proven to work in many, many markets. Justification of â€œinnovationâ€ can be measured by research, and by sales and ROI. The research work that has been going on in our industry world-wide has been immense. The India market can benefit from it, and I do hope that it is at this moment. In Europe and the US we have been working on global guidelines for OOH research which I have encouraged the market to consider and accept, and I believe this is happening. Where you donâ€™t have a particular technology in place I think you need to look at other markets and share their experiences to your advantage. Q: How do you rate the change in the Indian OOH industry, especially in the past 3-4 years? And according to you, what is it that will make OOH media more than just a â€œreminderâ€ medium? One of the obvious changes, probably in more than the past 3-4 years, is the reduction of hand-painted, and the growth in â€œPVCâ€ or â€œvinylâ€ on large scale panels. This has really improved the presentation and appearance of the medium in India. Also the growth in the Street Furniture sector, and the huge improvement in the Airport Advertising offerings, is helping the medium to become a force to be reckoned with. The â€œnegativeâ€ that I have heard from a number of people on the buying side of the business is the clutter that appears in a number of locations in most of the cities in India. OOH is seen in conjunction with the environment, and this is a matter for improvement by all the players that are in the business. Q: According to you is accountability the factor that is keeping clients at a distance from OOH, when it comes to the Media Plan? And do you think that the clients are ready to experiment with realtime innovations and not just cutouts and neons? Accountability is extremely important in the OOH business. Lack of accountability has held the medium back in many markets around the world, over the years. Itâ€™s a difficult factor to achieve when there are many players in the business, and all very keen to maximise income. But without it, as you say, it will keep clients at bay. In a market with many landlords controlling site locations, who are only interested in their financial returns it is difficult to establish a trusting, level OOH business which is accountable. But overall it is the contractors that can bring accountability. They need to work together for the benefit of the OOH Industry, by establishing a code of conduct, that all will adhere to. The research programme that is currently ongoing will go a long way towards helping out. I am sure that clients are ready to experiment with real time innovations which will become more apparent as time moves on. Q: How important is building up relationships with Agencies, Advertisers and Associations? And what sort of difficulties have you faced in the recent times across the globe? Very important! I am not the first person to state that the most important relationship is with the client, and the agency. Itâ€™s more straightforward to tell clients and agencies about a TV commercial â€“ time of transmission, and potential audience etc, than it is to explain the locations and potential audience of a group of outdoor sites. We are back to accountability and trust again. Explaining the way in which the message can be delivered directly to the target audience is all important. In some markets there have been questions asked when it appears that not all sites booked appear. Double bookings have also caused questions to be asked. If we do not play our business in a straight and honest way, then the future will not look good. Q: Your site mentions the steering board of a new group, responsible for providing global guidelines for OOH research. What is the current progress on this? Q: What sort of challenges and opportunities do you see, when you look at a market like India? There is a notable improvement in the way OOH is handled and marketed in India. New developments into the street Furniture domain, the modern treatment of airport advertising concessions show how more aware operators have become.Â Improved accountability always helps generate a greater trust in the medium. A closer and more trusting relationship between the site operators can also improve the way OOH is perceived. Clients do not wish to be associated with clutter, so a continued drive to improve the environmental landscape will be to the advantage of the OOH Industry. Support the research guidelines and generate â€œeyes-onâ€ figures will create more credibility for the medium. So, continue the move towards standardisation of panel sizes and the investment in backlights, MUPIs etc. Move towards using recyclable print substrates, and improve awareness of green issues.